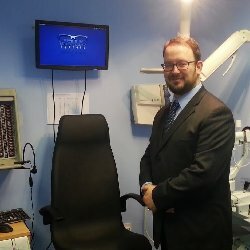 Iain graduated from Bradford University in 2004 and he started his career at a local, independent optometrist where he stayed until the opportunity to purchase his own practice arose. Combining his career with his passions of photography, fly fishing and going out on day trips with his young family would confirm that local is best for Iain. James is our locum optometrist who fills in at North Ormesby when Iain is at Thornaby. 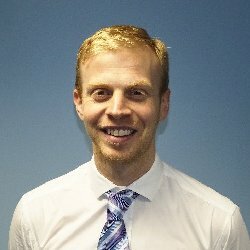 James also graduated from Bradford University and he also started his career at a local, independent optometrist before becoming a locum optometrist. Iain and Robert Mellis are brothers who grew up in Stockton and after their time at university, both brothers decided to return to the area that they love. In 2012 the opportunity to purchase the North Ormesby and Thornaby practices of E.G.E. Halls Opticians arose and they leapt at the chance. They were well aware of the long and esteemed reputation and history of Halls and knew that this was the perfect launch pad for Mellis Eyecare, an opportunity to build on tradition with a modern approach. The friendly, experienced Optical Assistants, Wendy, Anne and Sharone are continuing their excellent work for Mellis Eyecare. So if you wish to find out more about any of these services, to browse the refreshed range of spectacles in stock, or just an opportunity to pop in and say hello. it would be lovely to see you. At Mellis Eyecare we believe in a fresh, modern and proactive approach to caring for your eyes. Of all our senses, there is none more precious or unique than our eyesight and our eyes, come in to either of our branches and you’ll soon see why this is our passion. We look forward to seeing you soon. Sharone captains the Thornaby Ship, keeping it sailing straight. Her career in optics started in her home country of Zimbabwe. Her husband is originally from Teesside and they emigrated back to the UK in 2003. Due to her years of experience working in optics, Sharone soon found work in the Thornaby Opticians which was newly launching. Anne keeps the North Ormesby Practice in order. Before working as an optical assistant she worked for many years in retail. She enjoys utilising this experience as an optical assistant and she is well placed to help you choose the right spectacles for you. She has worked in optics for over 9 years. 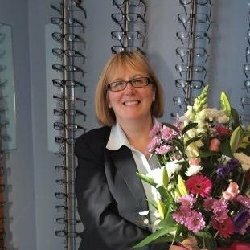 Wendy originally started her career in optics in the 1990s. She then went to work for Spratt and Bently and found herself working at the Thornaby Branch when the Yarm Lane Branch was merged with it. 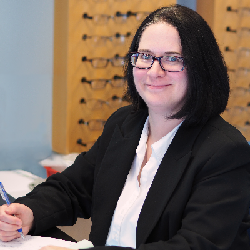 She joined Mellis Eyecare when we took over the Thornaby Branch. 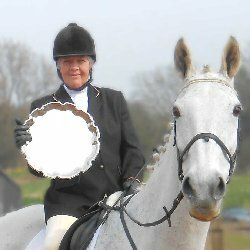 She is a keen horse rider and has a cabinet full of trophies. 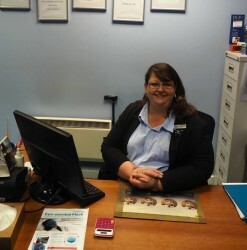 Annette is the newest member of our team and is already fitting in wonderfully. Annette loves helping people find the perfect frame to suit their character. When she isn’t helping guide someone to the perfect frame she is looking after her daughter and their menagerie of pets.